I adore vintage looks. Santa here is from the Good Cheer stamp set. This was fun because I got to color with puddles of ink and my Blender Pen. The card base is Always Artichoke and the Very Vanilla image is matted with Bravo Burgundy. The delicious ribbon is Stampin' Up's Chocolate Chip Satin. So rich! 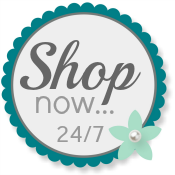 Please shop with me when you need Stampin' Up! supplies to make your Christmas Merry. LOVE these colors Patti. Great design and that satin ribbon is just perfect ! Patti, this is just perfect! I love the ribbon! This is a classic vintage card. It is beautifully put together and the images are gorgeous. Very classy and beautiful - great colors! This card is beautiful! I especially love the satin ribbon! Great color scheme Patti! Lovely Christmas card. I hope you are doing well! Enjoy your holiday season!